Having wood siding on your home can give it a warmth that can only be mimicked by other types of siding. Many homes that have wood siding look amazing and wood siding has been very popular lately even with newer, lower maintenance alternatives that are available. Of course, in order to keep wood siding looking great and continuing to protect your home in Ann Arbor Michigan it will require loads of maintenance. 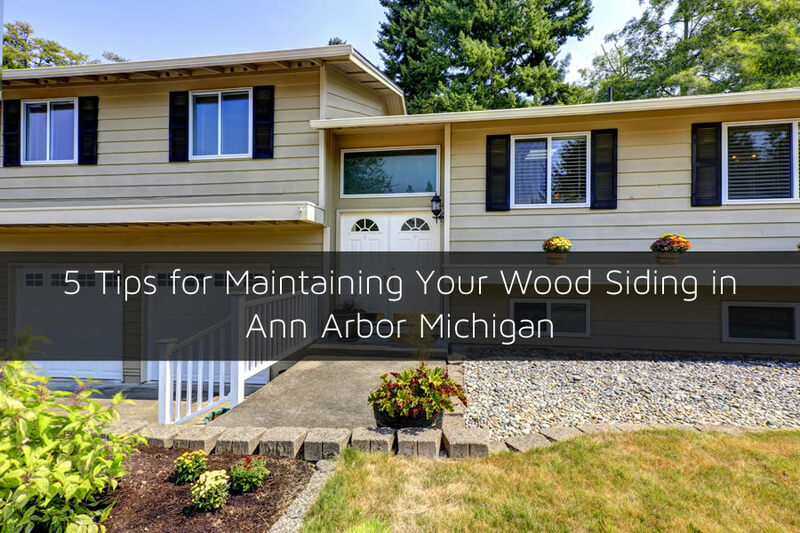 In this article I’ll go over 5 tips that you can use to keep your wood siding in Ann Arbor Michigan looking great all year. Although wood siding looks great on a home it can be avoided by many home owners because it requires too much maintenance. Home owners can sometimes get the wrong idea and think the home will need to be painted every year or they will continually have problems with the siding. But actually, a lot of the wood siding that is sold today is specially treated to avoid many of the problems that plagues sidings many years ago. Some maintenance will still be needed on the siding of course, but it’s usually much less than most home owners expect. Keeping the wood siding on your home in great shape can tremendously cut down on the required maintenance as well. The following 5 tips can help to ensure your wood siding in Ann Arbor Michigan will last a long time and look great! Depending on the type of finish the siding has you’ll want to ensure it is water proofed. Most water proofing agents will cause water to bead on the siding much like if you were tossing water on wax paper. Give your siding a quick water test and if the water seems to soak into the siding it will likely need to be waterproofed. There are waterproofing agents that can last for many years and are higher quality which can cut down on some of the maintenance required to water proof the siding. It will however need to be water proofed or else there can be damage to the siding or the home. Protecting the home and preventing water from reaching any part of the walls in the home is what the siding is designed to do. Not only wood siding but all siding. But for wood siding there can be damaged boards on the siding which allow water behind them. Any damaged boards or wood siding shakes need to replaced as quickly as possible to prevent damage to the home. Washing away dirt and debris from the siding can give it a fresh new look. It can also give you a chance to inspect the siding a little closer for problems. If you use a pressure washer to clean the siding be careful the high pressure from the nozzle doesn’t blast away the paint or waterproofing on the siding. This is a common problem with wood siding. Sometimes cracks can develop in the siding. Since the siding is made from wood and wood cracks and warps from time to time but it does happen. Sealing any cracks or holes that develop in the siding can help to seal the area without removing or replacing any wood siding. Caulking can sometimes be used to seal these areas but you’ll want to ensure the final result is that the siding is properly sealed and continuing to protect the home. Like most of the components on our homes the siding is never really thought about until there is a problem. But giving the siding an inspection from time to time can help to locate problems and potential problems before they cause any damage to the home. At least once per year, possibly when washing the siding down, make a quick inspection of your home’s wooden siding and ensure there are no problems. If you do have problems with your home’s siding in Ann Arbor Michigan or want new siding installed be sure to call Ann Arbor Remodeling Contractor for help. 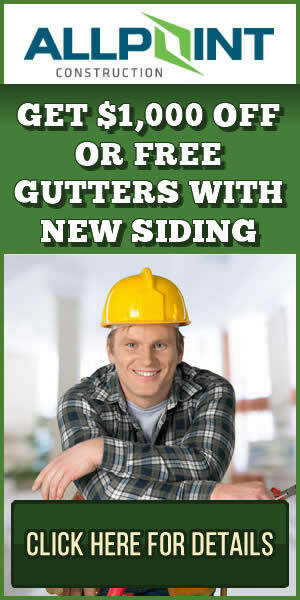 Ann Arbor Remodeling Contractor offers free estimates on siding and home improvement projects in Ann Arbor Michigan. PreviousIs It Time to Replace the Vinyl Siding on Your Downriver Michigan Home? NextShould You Upgrade Your Vinyl Siding to James Hardie Siding in Downriver Michigan?